Lung cancer, mesothelioma, and asbestosis are serious life-threatening illnesses caused by asbestos exposure. Those suffering from these illnesses may be entitled to compensation for their injury. This is because many that were exposed to asbestos were either unaware they were being exposed, or unaware of the dangers of the fibrous “miracle mineral” that was a popular building material throughout much of the 20th century. Asbestos companies and manufacturers knew of the dangers of asbestos, but chose to not inform their employees and customers, placing profits above the workers’ health. After a string of lawsuits from the 1970s, companies were forced to admit their awareness and responsibility; paving the way for modern asbestos litigation. If you have been diagnosed with an asbestos-related illness, it’s important to contact an asbestos-attorney right away because there is limited time to sue after being diagnosed. This is known as the statute of limitations. Claims for an asbestos injury, like mesothelioma, are classified as personal injury or wrongful death claims. Each of these types of claims has its own statute of limitations, which are defined by each state. The long latency period between time of initial asbestos exposure and disease development means that the statutes begin at the time of initial diagnosis of the disease, not when exposure first occurred. Those who are currently suffering from an asbestos-caused illness would file a personal injury claim – they have already received a diagnosis, and are still alive. In Pennsylvania, West Virginia, and Ohio, you have two years from the date of diagnosis to file a claim. In Pennsylvania, you can file a lawsuit for each illness discovered. Those filing on behalf of a deceased loved one file what is called a wrongful death claim, and just like with the personal injury claim, you have two years to file a claim after the person passes away in Pennsylvania, Ohio, and West Virginia. However, in Pennsylvania you can only file a wrongful death claim if you filed a lifetime claim within two years of the diagnosis. The statute of limitations does vary between each state, but generally it is within just a few short years. Since asbestos was used for decades in a variety of applications (insulation, floor tile, roofing felts and shingles, joint compound, gaskets, packing, pumps, valves, and adhesives), it is very likely that at some point you may encounter this deadly carcinogen. However, being exposed to asbestos is not enough to file a claim –you must have been diagnosed with an asbestos-caused disease. Finding asbestos floor tile while renovating your home is a cause for concern, but asbestos litigation is designed to help those who are currently suffering or have passed away. Perhaps the most striking FACT about mesothelioma is that it is considered almost wholly preventable. Mesothelioma is almost always directly linked to asbestos exposure and can take the life of a love one within a year of initial diagnosis. Asbestos exposure is the only cause of mesothelioma in North America. Family members may be able to collect compensation for the death of a loved one, but only if the claim is filed in a timely manner. These statutes are generally only a few years at most, so if a family member passed away from an asbestos condition but THE death occurred decades beforehand, a claim cannot be filed. 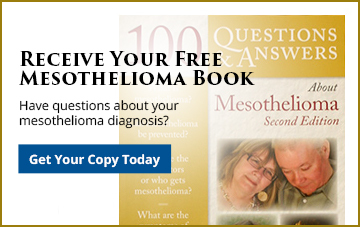 A diagnosis of mesothelioma is often overwhelming for the patient and his or her family. Finding a mesothelioma lawyer shouldn’t increase the burden. At Goldberg, Persky & White, our lawyers are uniquely qualified to prepare, and try your case, providing you and your family with peace of mind and always treating you with compassion. Contact us today for a free consultation by filling out our online web form, speaking with a live online chat representative, or by simply giving us a call at 412-471-3980. Since you have only one chance to recover you need to hire the lawyers who recover the most.